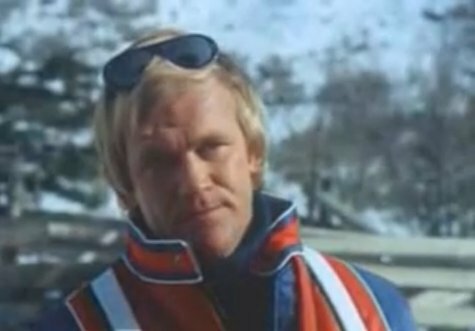 "Snowbeast" (1977) starring Bo Svenson, Yvette Mimieux and Robert Logan is a made for TV movie which originally aired on CBS. Gar (Svenson) & Ellen (Mimieux) Seberg arrive at the Rill Ski Resort in Colorado just in time for the Winter Jubilee and also just in time to be there for a bigfoot-like monster to go on a killing spree. The Rill Ski Resort is run by grandma Carrie Rill (Sylvia Sidney) and grandson Tony Rill (Logan). When one of their guests goes missing and Tony believes he sees the snowbeast, Carrie doesn't want him to report it right away to avoid a panic and an end to their annual winter carnival. They restrict the part of the mountain where it was last seen but the beast of course doesn't stay in that area and is soon attacking people in town! 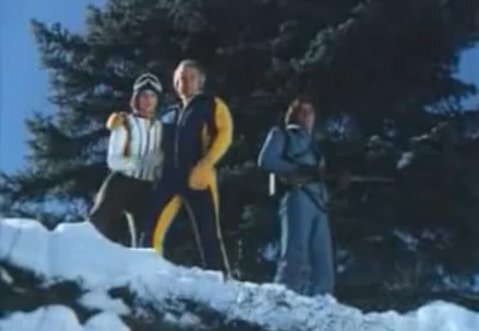 The sheriff, Tony, Gar and Ellen set out to try to kill the beast and keep the town safe - all while bringing Gar and Ellen together again! This is a pretty good monster movie. 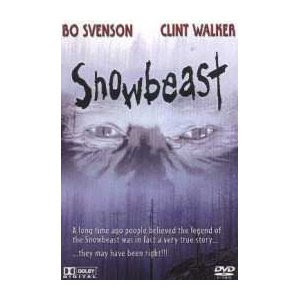 A lot of scenes we experience from the beast's point of view with the camera seeing what it sees as it stalks its victims through the mountain and woods. For a large part of the movie you don't even see the beast, just its hand and giant claws. The eerie roar of the beast in the mountains is also a good and scary effect along with the wonderfully intense music. 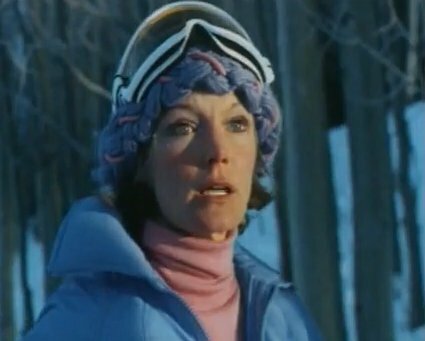 So sit back and enjoy this fun winter horror movie and don't go skiing alone in the mountains!